Over a year ago, I stumbled upon velocity based training. I was fascinated by the idea that a coach could directly create the type of impact and stimulus desired with almost precise certainty. I loved the idea that if I wanted to work a certain phase of strength development, I could set a limit to how slow the bar can move and not have to worry about the athlete having a good or a bad day by using percentages. VBT training looked like the perfect combination of perceived exertion work and classic linear periodization. As we experimented and tested ways to apply these principles to the Olympic lifts, specifically to high-level Olympic weightlifting competitors, we learned a few things about how to best use velocity in preparation for competition. In this three-part blog series, I’m going to try to give three easy ways to watch speed in an effort to create the best, most precise, peak performance in competition. One of the first ways we started using speed parameters in competition prep was through how we squatted. There are times and places inside a competition training plan for maximal strength and “slow strength“. These types of training blocks tend to be useful for creating the capability for speed down the road but can be dampening to the effects of bar speed if we are not careful. That said, the closer and closer an athlete gets to competition, the more necessary it is for their squats to begin to move at competition speed. 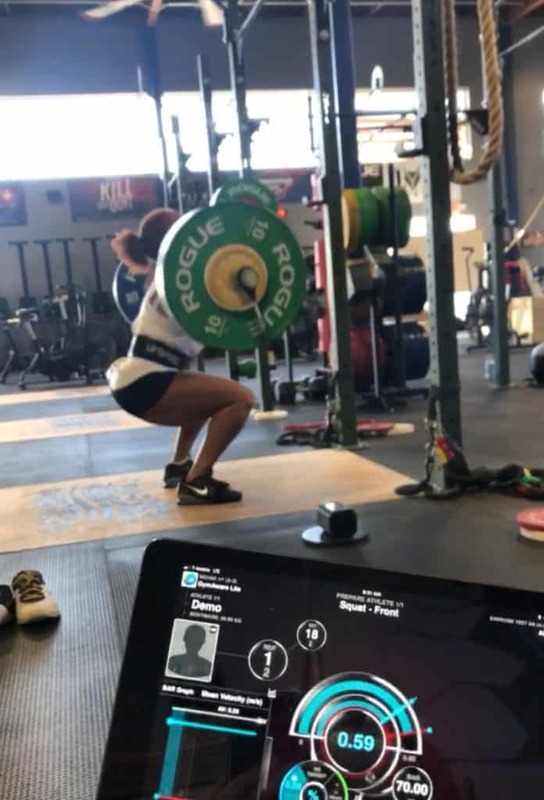 The last thing we want is an athlete grinding out squats at .25 m/s or .35 m/s then hoping they move at double or triple that doing the full lifts. Thus, during our final four-week preparatory block for the American Open Three in Las Vegas, many of our lifters had specific speed parameters they had to meet in order to add weight to the bar. For instance, Shayla had five doubles that needed to be completed at .45 m/s or faster. I selected this specific speed because at this point in the cycle when she had a squat session we were in the process of transitioning from pure strength work into high power, accelerative strength work. Basically, we are in the process of transitioning from slow squats to really fast squats. We began slowly bringing the bar speed higher and higher as a transition happened. There’s a little bit of an art that has to be taken into account. 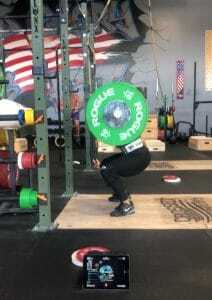 Not everybody squats the same and not everybody responds to that transition the same, however, it is critically important for all weightlifters to be moving fast the closer they get to competition. If you have access to a linear positional transducer (think velocity measurement unit) then do yourself a favor and start creating a baseline for normal squatting speeds for athletes. Start early in the cycle and start to figure out what their normal speeds are when they squat. Then, as you get closer and closer to competition you have a baseline from which to work faster. If an athlete’s normal squat speed is .5 m/s before they fail they already work relatively fast and you may not need to do a ton of transitional work here. However, if an athlete has a bottom velocity range at .2 m/s then that transition probably should start earlier and take longer as they try to move closer to .6 or .7 m/s prior to competition. Paying attention to the speed at which athletes perform their squats in competition preparation is critical if we expect our athletes to move fast under the bar and fast out of the hole. This is especially important during heavy cleans.